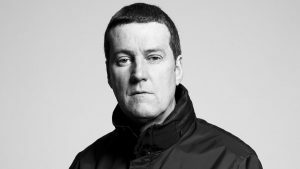 Peter Hooton, lead singer of Liverpool band The Farm, is to present two shows on BBC Radio Merseyside over the new year. During the programmes, to be aired between 8 and 10pm on both New Year’s Eve and New Year’s Day, Peter will be taking a trip down memory lane and playing his all-time favourite songs, while also telling anecdotes from his 30-plus years in the music business. He'll play Bob Marley, David Bowie, The Clash and The Beatles, as well as several hits that influenced The Far Four's early sound, including What'd I Say by Ray Charles and Watch Your Step by Bobby Parker.